cast iron and hardwood garden furniture. Severn Seating will have something that suits your style and needs. Would you like to discuss your requirements or find out more about our restorations services? We have a comprehensive range of garden benches, seats and garden furniture and we are adding new items all the time. 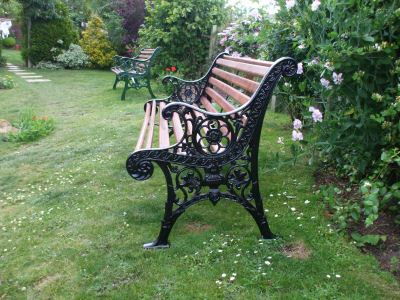 Bespoke and refurbished antique, vintage and Victorian style cast iron and hardwood garden seats, benches & furniture.